Hargreaves signed for Leeds in August 1934, after impressing in Sheffield junior football. He competed with Arthur Buckley for the Leeds left-wing place in the years leading up to the Second World War. He won a Central League medal when the Leeds Reserves won that League in 1936-37. Jack played often for Leeds during the War years making forty-one appearances and scoring sixteen goals in that time and notched another two goals in seven War-time Cup games. He made his War-time debut at Inside Left on 18th November 1939 in a 2-1 home victory over Hartlepools United. He played at Outside Left in all other games that season and scored twice in four Cup appearances and made six appearances in the Regional League North-East Division in the 1939-40 season after appearing in one of the three games in the aborted Football League programme. He scored in his only appearance for Halifax Town in a period which saw several Leeds players guesting for local rivals. However, with Leeds, he scored seven goals in fourteen North Regional League games and also made three War Cup appearances in the 1940-41 season in which all his games were at Outside Left. 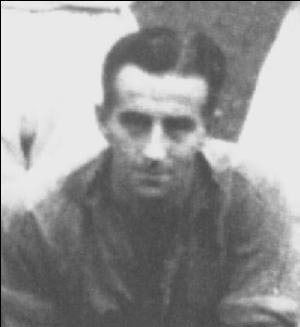 The 1941-42 season saw Hargreaves a little more versatile, as he started the Football League Northern Section (First Championship) with six consecutive games at Outside Left, but there were five games at Inside Left and two at Outside Right in his thirteen games which produced eight goals. In the Second Championship campaign he played four games at Outside Left and two more at Outside Right, but he failed to score in any of the six games. 1942-43 saw Hargreaves only play one game in the Football League Northern Section (First Championship) as he scored in a 2-2 draw at Doncaster Rovers on 17th December1942. His final War-time game came in the 1944-45 Football League Northern Section (Second Championship) in a 1-1 draw at Sheffield Wednesday on 17th March 1945. However, as a Corporal in the RAF, he had been sent by them to work in an aircraft factory just outside of Bristol and he made almost all of his later appearances for the local team, Bristol City. In that period he played one game for Cardiff City, in the 1941-42 season, without scoring. He became quite a prolific goalscorer while at Bristol, but his first two games in the 1941-42 season yielded none. However 1942-43 saw sixteen in thirty-two appearances, 1943-44 thirteen from thirty-five, 1944-45 twenty-two from thirty-seven and, after signing for the Ashton Gate side on a permanent basis in August 1945, 1945-46 yielded eight from twenty-seven. After football resumed after the War, he scored seven goals in his twenty-six peace-time appearances for them. He moved to Reading in April 1947 where he scored once in fifteen appearances before finishing his career with Non-League Yeovil Town, where he was part of that famous team of renowned Giant-Killers who surprisingly beat Sunderland in the FA Cup in 1949. He died in Bristol on 22nd December 1978.